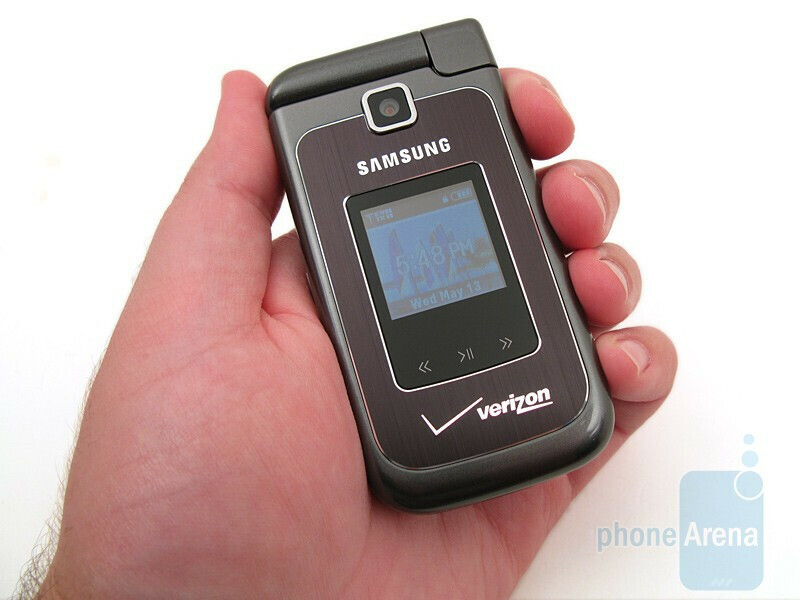 When the Samsung Alias U740 was first released two years ago, we were intrigued by its dual-hinge design and QWERTY keyboard. Unfortunately after using it, we felt the keyboard buttons were too small and the lack of a good display and camera also made it trail behind the LG enV. 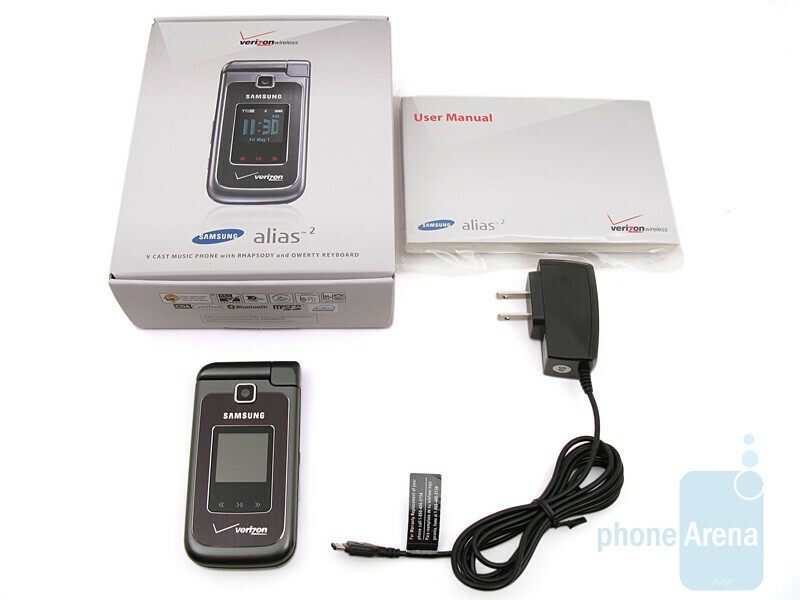 Now the manufacturer has reworked the design and has come out with the Samsung Alias 2 U750. 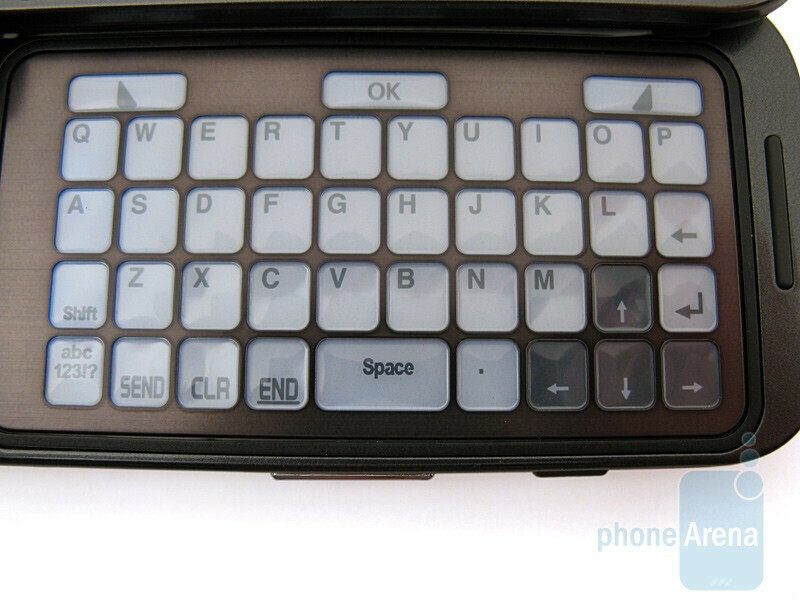 Most of our original gripes have been addressed, as the keyboard uses E-ink technology with larger buttons, the display is now QVGA, and the camera is 2MP. 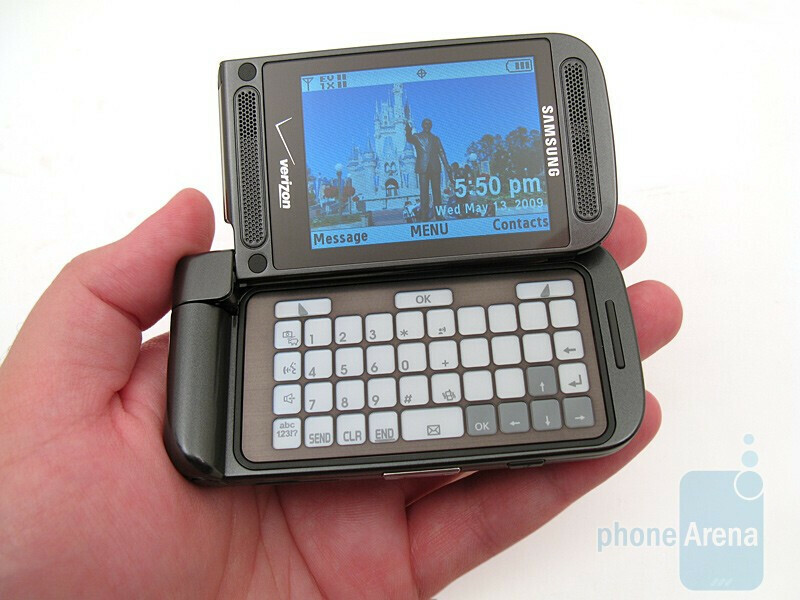 But with the enV3 due out any time now, how will this phone stack up? Let’s take a look. The new Samsung Alias 2 U750 is larger and slightly heavier than the original, but that is a good thing. Where the original Alias felt cheap and flimsy, the Alias 2 feels sturdy and durable. The color is also a more attractive gunmetal gray, which gives it a more professional appearance. 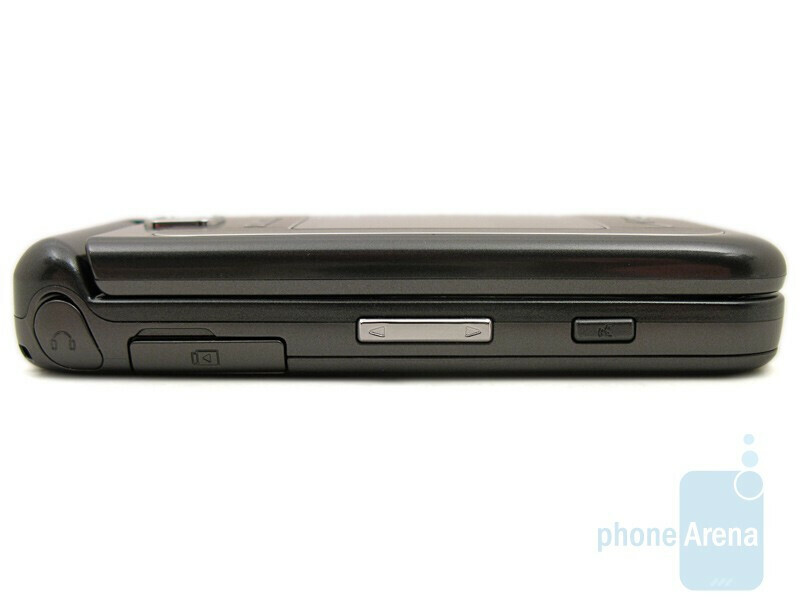 Located on the front is the slightly larger 1.3” 128x128 pixel display, 2MP camera, and music control buttons. 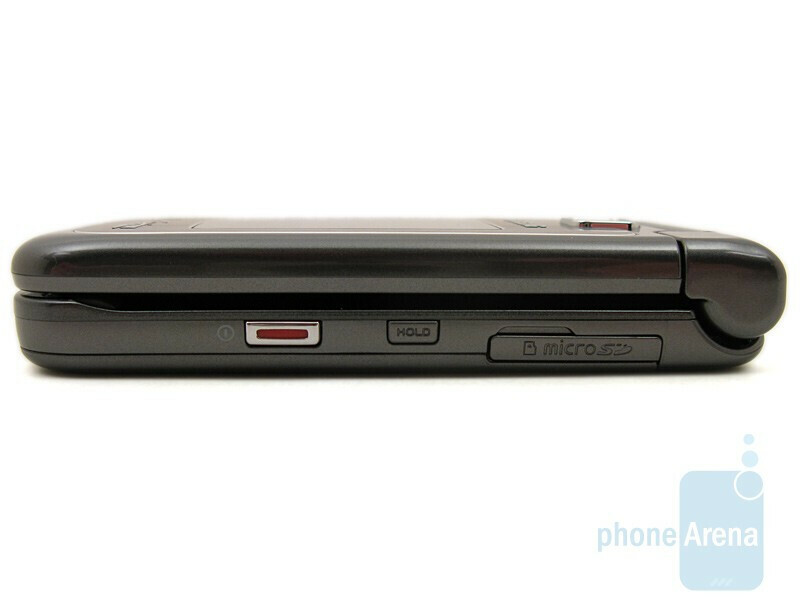 Along the left side is the 2.5mm headset jack, charging port, volume rocker and voice command button, with the power button, hold/lock button, and microSDHC card slot on the right, which supports up to 16GB memory cards. You can compare the Samsung Alias 2 U750 with many other phones using our Size Visualization Tool. The flip can be opened in either portrait or landscape fashion, and the hinge feels durable and opens smoothly. The internal display is 2.6” QVGA and is capable of reproducing 262K colors. 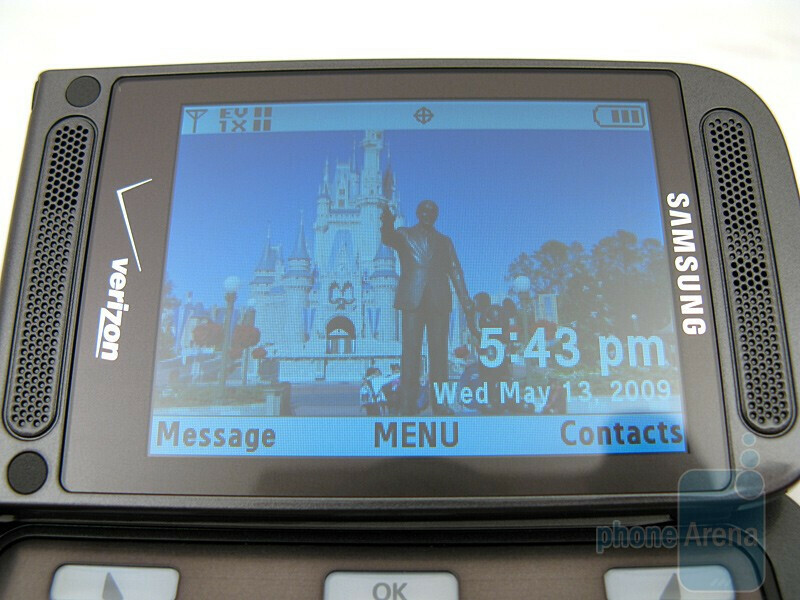 It is currently the largest display of any Verizon flip phone, and images and text look amazing on it. Located on either side are stereo speakers, which are used for ringtones, music, and speakerphone, but only the top speaker is used as the earpiece while in calls. 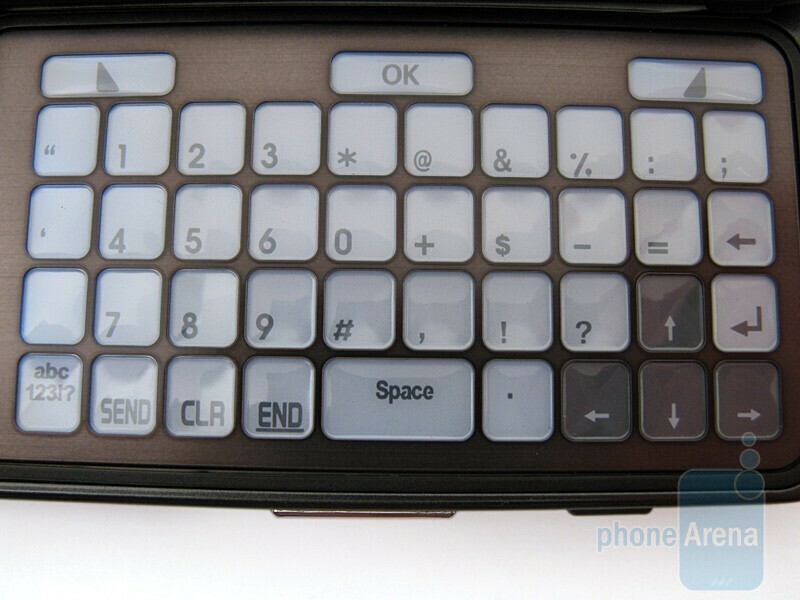 The most fascinating feature of the device is the E-ink keyboard, which Verizon calls “Magic Key”. The technology has been around for several years, but until recently hasn’t found it’s way to the cell phone market. 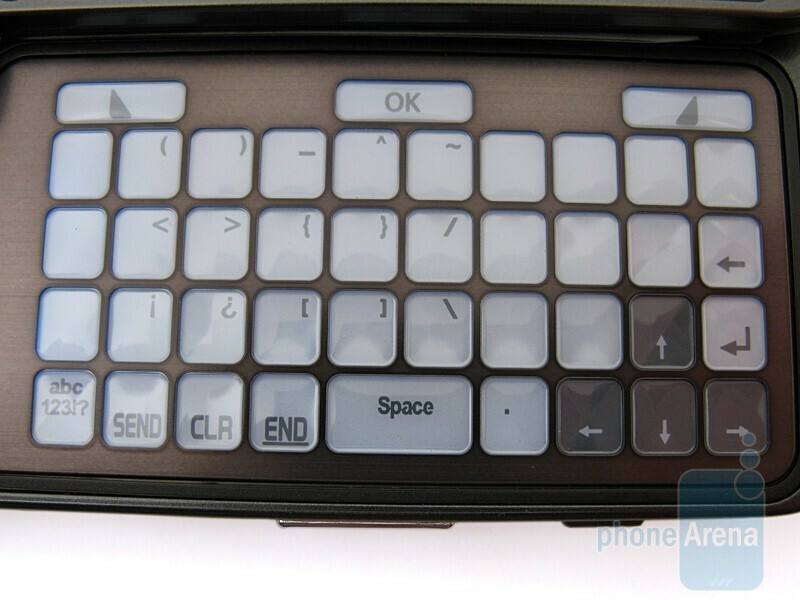 With E-ink, the keyboard buttons can be mapped dynamically, which means they could be used for any function. 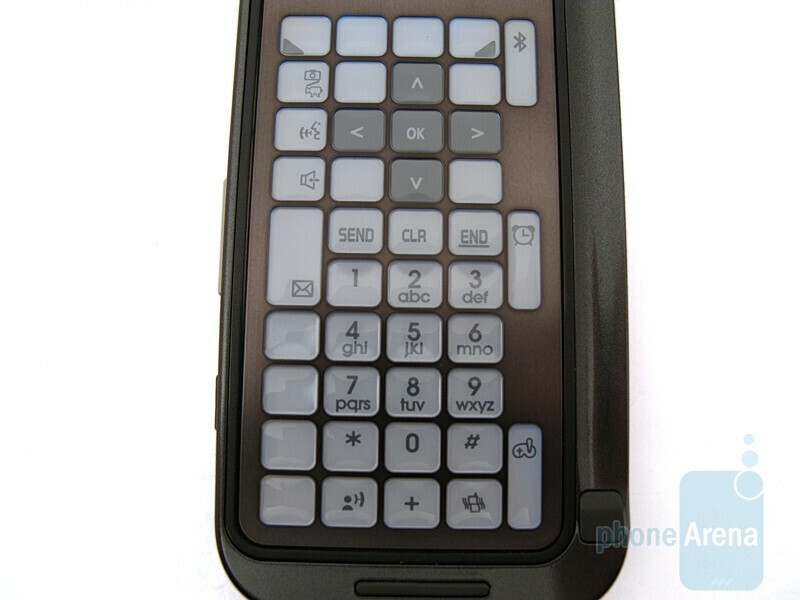 When the Alias 2 is opened in standard portrait mode, the keyboard shows a d-pad and left & right softkeys at the top, with numeric dialpad at the bottom, as well as functions keys for the camera, speakerphone, voice command, messaging, Bluetooth, alarm clock, games, and voicemail. When the phone is opened in landscape mode, the buttons immediately change their layout to face that direction. 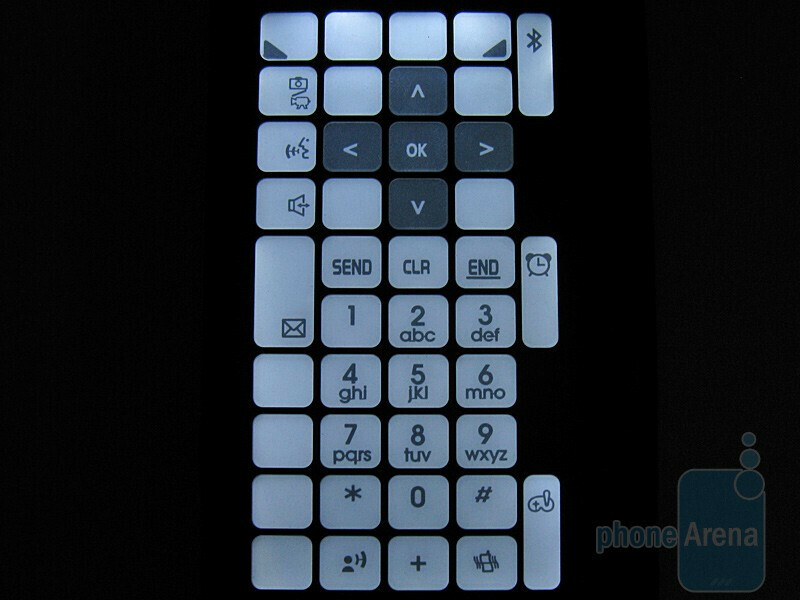 When going into messaging, they change to a full QWERTY keyboard, and you can also cycle through numbers and symbols. 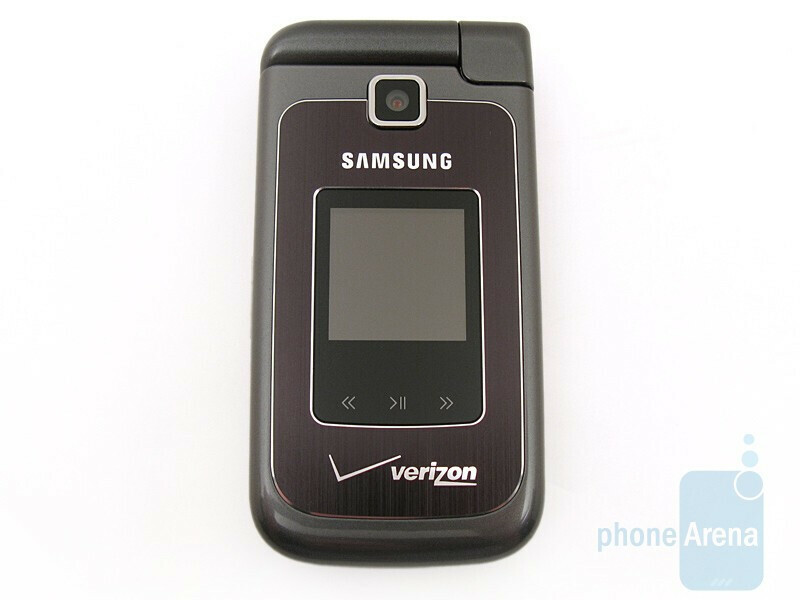 The keyboard buttons on the Samsung Alias 2 U750 are larger than the original, which makes dialing and messaging easier and with fewer mistakes, even though they have a plastic feel to them and are close together. 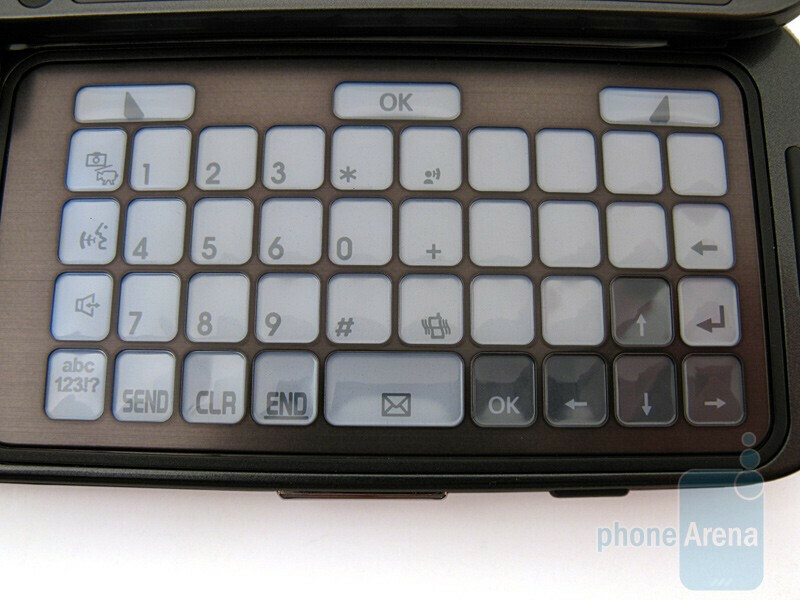 I would buy this in an instant if it was a "smart-phone" - I wish the upcoming Blackberry Pearl Flip had an e-ink keypad like this one. yes - MultiTap is ok and some are very happy with it. but, i wish the blackberry pearl flip had the dual hinge thing AND the e-ink - it would make a compelling smart phone package, don't you think? I think that would make the PearlFlip a little TOO complicated of a device. It's already a higher learning curve for most people, now they have to think about how to open their Smart Phone as well? I personally like the bar-style blackberry.. elegant, quick, and functional. What is with Verizon keeping the same outdated music player on most of their higher end phones like the Rogue and Alias 2? And is anyone else fed up with their new "data plans" for the EnvTouch and Rogue? 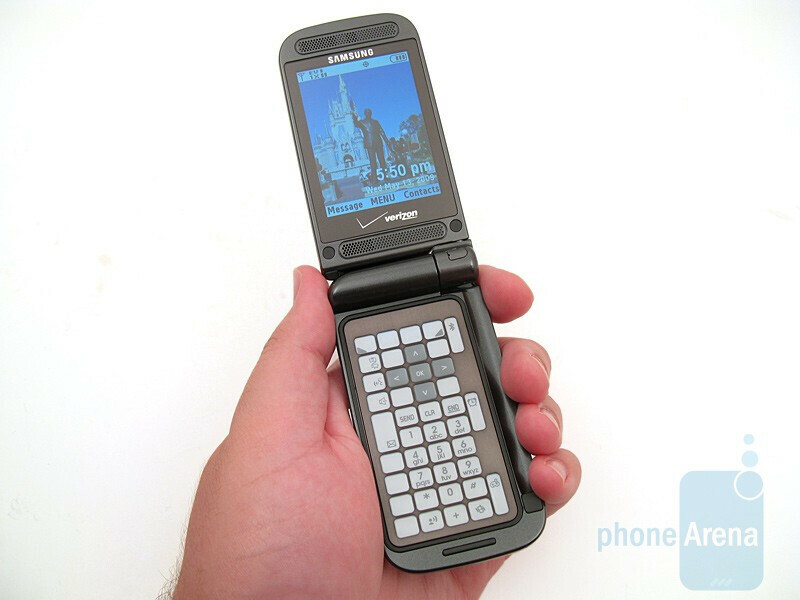 The Samsung Alias 2 to which we are all discussing is a great phone. It's not as feature rich as an Android phone, or an iPhone but it is a good smartphone and is better than most feature phones I've had earlier. Very sadly mine just died recently -- not sure when/how but it got water damage. Samsung Alias 2 I knew ye well. R.I.P.